To help you confidently protect what matters most, we have researched, reviewed, and ranked the best home security systems available in 2019. SafeWise knows home security. Over the past five years, more than one million people have come to us for home security information and recommendations. And we’ve helped thousands of those people pick the best home security system for their homes. We test, research, and compare home security companies based on the factors that matter most when looking at security systems. Prices effective as of March 4, 2019. Offers and availability subject to change. There’s a reason Vivint put “smart home” in the middle of its name—this relative newcomer to the security game has gone all-in when it comes to combining home security and home automation. With hands-free voice control features, you can do everything from closing the garage door to turning up the heat without lifting a finger. Read the full Vivint review. We like the Smart Home Video monitoring plan because it includes security cameras and video monitoring. For equipment, you can work with Vivint’s home security and home automation experts to put together a package that gives you the components and features you want. Even though Vivint has only been on the scene since 1999, a strong commitment to providing intelligent home solutions has made it a major player. If you’re looking for more than home security, Vivint offers the most comprehensive home automation and energy management upgrades. When it comes to home security monitoring, no one can beat ADT for experience. This home security company has been providing home protection for more than 140 years and serves more than eight million people worldwide. Read the full ADT review. We recommend the ADT Pulse® plan because it includes home automation technology and wireless equipment. These features make home security easier for renters and people who may move before their contract is up. ADT is the most experienced security monitoring company in the country. Even though prices are on the higher end, years of experience combined with the most monitoring centers in the land assure ADT customers get fast response times and helpful service when they need it most. In addition to having the best DIY installation option, Frontpoint blows away the competition when it comes to taking care of customers. Frontpoint has an “A” rating from the Better Business Bureau and is one of the few security companies we’ve found that puts its money where its mouth is—you can try out the system risk-free for thirty days. If it doesn’t work out, you’ll get a full refund. Read the full Frontpoint review. The Interactive Plan provides a variety of equipment, remote access, and plenty of home automation options—all for under $50 per month. Frontpoint puts the customer first. 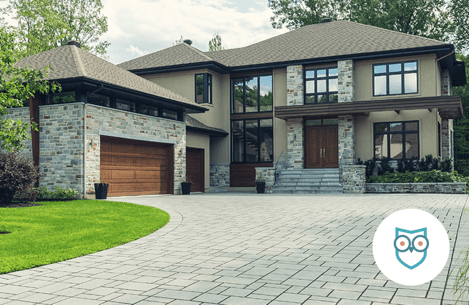 From transparent pricing to knowledgeable customer service help, this security company does everything it can to make sure you get the residential security features you need without any hassle or extra costs. Protect America is the most affordable residential security company to make our top five. It has the lowest monthly monitoring fees, starting at just $19.99 per month—but that price is only for standard, landline monitoring. You can also lock in your rate, which means that your monitoring fees will never increase as long as you don’t interrupt or cancel your plan. Read the full Protect America review. This isn’t the cheapest package Protect America offers, but we think it provides solid home security that’s still affordable. And if you choose DIY installation, you’ll save money up front, which helps with the higher monthly fee. If you have a limited budget but want to give your home and family the extra protection of a home security system, Protect America is a good place to start. Just know that if you want extra features like smart locks, you’ll end up paying more. Protect America’s affordable rates make home security accessible to nearly any household. SimpliSafe has set out to change the home security industry. It doesn’t employ any salespeople and lets you choose the equipment and monitoring level you want. SimpliSafe equipment is modern, sleek, and easy to set up. Best of all, you don’t have to sign a contract. Read the full SimpliSafe review. SimpliSafe’s Hearth Package includes all the home security essentials you need, plus fire and smoke detection. This isn’t the cheapest SimpliSafe package, but we think the addition of smoke protection is a plus worth paying for. SimpliSafe has some of the cheapest monthly monitoring fees available, plus high-end equipment that comes with a lifetime warranty. Best of all, this security company doesn’t use high-pressure sales, so you won’t end up paying for more security than you need. This security company provides some of the most comprehensive basic plans we’ve seen. Link Interactive’s mid-level Gold package offers everything except video monitoring and live streaming. That includes 24/7 professional monitoring, mobile access and alerts, home automation, and Crash & Smash protection, which keeps your system active if a burglar tries to damage and disable it. It’s rare to get all of that without having to upgrade. Read the full Link Interactive review. This mid-tier plan offers security you can rely on plus home automation and energy management features. We also like that fire and CO alarms are included. Link Interactive offers basic packages that are anything but basic, which means you can end up with more security for your money. The company also knocks it out of the park when it comes to taking care of customers. This is the only residential security company we’ve found that gives you a full three months to decide whether or not you like your system. This 90-day money-back guarantee makes it easy to try out a Brinks alarm system—but if you cancel after the trial period, you could owe up to 80% of the remainder of your contract. This package will run you about $40 per month, but it comes with impressive extras like a doorbell camera and an indoor security camera with night vision. You also get 24/7 live streaming video, which provides peace of mind whether you’re at home or on the go. Brinks offers cutting-edge technology that won’t let you down during a phone or power outage. Plus, the company’s money-back guarantee makes Brinks a solid choice for the commitment-averse that want to try out a home security system before signing a long contract. Just make up your mind before the trial period ends to avoid termination fees. Scout is a flexible, entry-level home security system. You build your own system, which gives you control over how much protection you have. But options are limited, and vital equipment (like security cameras) isn’t available. The Always On+ plan from Scout costs a little bit more, but it includes 24/7 professional monitoring, which adds extra peace of mind. Scout lets you control your home’s level of protection. You also control how much you spend because you build the system yourself. But equipment options are limited, and Scout doesn’t offer any security cameras. Nest Secure provides innovative home security that’s designed to be self-monitored, although you do have the option to add on professional monitoring. You can add other Nest products like a camera or thermostat to make your home both smart and secure—but it will cost you. The starter pack is around $400, and that doesn’t include any security cameras. This expanded starter pack bundle includes the Nest Guard hub and multiple Nest Detect sensors, plus one indoor Nest Cam to help you keep an eye on your home. You’ll save money by purchasing the bundle instead of adding on cameras later. If you want to be in charge of your home’s security, Nest Secure is a good choice. Through the Nest App, you can monitor your home, watch live video, and arm or disarm your system. And if you decide you need more protection, it’s easy to add professional monitoring to your Nest system. LifeShield is one of the only security companies to provide smoke and CO monitoring in every package. It’s also known for high-quality equipment that’s manufactured in-house. The Security Advantage package provides all the basics you need to keep your home secure, plus video monitoring. 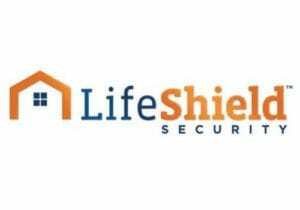 LifeShield provides more than security from intruders. Every package also includes fire, smoke, and carbon monoxide protection. You also get three levels of monitoring through broadband, cellular, and landline connections. What are the differences between landline, broadband, and cellular monitoring? Landline, broadband, and cellular monitoring are different ways your home security system can be connected to the monitoring center. Landline monitoring uses a home phone line, broadband uses an internet connection, and cellular monitoring uses a cellular uplink. How susceptible each connection is to tampering and which options are available in your area are important to consider when you’re looking for the right security system for your home. Landline monitoring is most vulnerable because a phone line could be cut, and cellular is least vulnerable because there are no wires. Every company on our best home security systems list offers broadband or cellular connections, but not all give you a landline option. Landline connections used to be the most common, but broadband and cellular have taken over because they have expanded availability and fewer security vulnerabilities. Can I afford a home security system? At first glance, a $40 or $50 per month monitoring fee can seem steep, but that adds up to $600 or less per year. That’s still significant, but it’s a lot less than the average loss of a break-in. In 2017, people whose homes were burglarized lost an average of $2,416.¹ We found that most residential security systems cost less than that (usually by at least $1,000) for the whole term of the contract, which is typically 36 months—and that includes standard equipment. When you factor in the financial and emotional costs of a break-in, the expense of a home security system is almost always less than the loss you’d face if the worst were to happen. Keep in mind that the more features and extras you add to your system, the bigger the price tag. Some top-tier packages cost upwards of $60 per month. But we don’t want you to risk financial security for home security. Take the time to figure out your budget and identify exactly what you want from a home security system. That way you won’t end up paying for extra bells and whistles that you don’t need. What’s the initial cost for a home security system? What is the difference between professional monitoring and self-monitoring? A professionally monitored security system has trained professionals keeping an eye on your home 24/7. Monitoring centers contact you if the alarm is triggered, and they can dispatch emergency services to your home. We recommend professional monitoring because it’s your most direct line to help if something happens. With a self-monitored system, you and other authorized household members are the ones checking in to make sure everything’s okay at home. Depending on the security system you choose, that may or may not include motion detector alerts, outside security camera alerts, and life-saving alerts like notification that your smoke alarm went off. You can save money with self-monitoring by avoiding monthly monitoring fees. But that can leave your home more vulnerable because you won’t have experts watching around the clock—and you won’t always have a connection to local law enforcement if you end up needing emergency assistance. More security companies are offering contract-free professional monitoring options that are more affordable. You can get 24/7 monitoring for as low as $15 per month from DIY home security companies like SimpliSafe. Can I have my existing security equipment monitored? What are the differences between wired and wireless home security systems? This can be a tricky question. “Wireless” usually refers to the use of wireless technology like Wi-Fi or Bluetooth for monitoring and to connect the components of your system. “Wired” on the other hand, refers to a home security system that is hardwired into your home’s electrical system. That makes it easy to assume that a wireless home security system would not have any wires at all, but that’s not always the case. Some wireless security systems use a hardwired control panel that needs to be connected to your home’s electrical system—ADT’s Pulse® systems are a good example. There are truly wireless systems, like Frontpoint, that don’t require any hardwiring. Don’t worry—being wired or wireless doesn’t really impact how well a home security system will protect your home. If power goes out, or the internet or cellular uplink goes down, the best security systems are designed to stay connected to the monitoring center (or send out an alarm) if the connection is disrupted. From a practical perspective, wireless systems have more flexibility if you may move or don’t want to put holes in walls. A hardwired system could be the perfect option if you want a complete smart home and you’re able to incorporate the installation into a renovation or new construction. What are the pros and cons of wired and wireless security systems? Does a home security system give me a discount on homeowners insurance? Yes. Most insurance companies offer a discount when you install a security system. Depending on your insurance, you may qualify for as much as 15% off your premium.² When you’re looking for the best home security system to buy, be sure to verify that you’ll get a certificate to submit to your home insurance company after installation. A word of warning—if you forgo 24/7 professional monitoring, you might not qualify for a discount. It could be worth weighing the monthly monitoring fee against the monthly or annual savings on your home insurance premium. Can purchasing a home security system decrease my homeowners insurance? Can I install a home security system if I rent? Yes. Thanks to wireless technology, it’s now easy to add security to your home—whether you own, rent, or live in a dorm or with roommates. Many of our top home security systems have packages that meet renters’ security needs. To make it even easier, we also ranked the best security systems for renters. Will I be stuck in a long contract? Possibly. It depends on which security company you choose. Many professionally monitored home security systems require a contract, and contract length can range from three to five years. But today you’ll find more home security options than ever before that offer shorter contracts and month-to-month (contract-free) terms. The perks of a contract might include the ability to finance the cost of equipment. Many no-contract options require you to pay for your home security equipment up front. That can be tough when you’re looking at equipment costs that start around $300 on the low end and run all the way into the thousands, depending on what you want. We like the flexibility of completely contract-free options (like SimpliSafe and Scout) because you can add 24/7 monitoring when you go on vacation—or during the holidays to thwart porch pirates—and drop it when everything’s back to normal. Before you jump into a contract, be sure to read all the fine print, because most home security companies will charge you around 75% of the remaining term of your contract if you cancel early—and some require 100%. What type of contract length can I expect from security providers? What’s the difference between home security and home automation? The best home security systems use tools and technology to help keep you, your family, and your property safe. Home security is made up of many devices and resources including burglar alarms, security cameras, door and window sensors, motion sensors, reinforced door locks, and more. Home automation uses technology to automate everyday activities like locking the doors, turning up the thermostat, or starting the coffee pot. Home automation is connecting smart products (like a smart thermostat) to one another over an internet connection and a protocol like Z-Wave or Zigbee. When connected, they can speak to each other and you can control them from smart speakers, a hub, or a phone. When combined with home security, home automation can help increase your home’s energy efficiency, remotely control your alarm system, and let you check in on kids or pets when you’re away from home. Most of the companies that made our top home security systems offer some combination of home security and home automation—but a smart home upgrade can cost you. Different equipment, more sensors, mobile apps, and other features add up, so consider what you can afford. And be aware that not all smart devices are compatible with all home security systems. If you’ve already made an investment in smart home tech (like Nest or Ring products), make sure your new home security system can work with your existing equipment. What makes a home security system smart? The difference between a traditional alarm system and a smart one is that different components within the system can communicate with one another. Not only does smart technology give you the ability to control and monitor your home alarm system from anywhere—it also makes your system able to respond to your habits and routines. The most common elements of a smart security system include a control panel (or hub), an app for remote access and monitoring, environmental controls, and smart accessories like smoke and carbon monoxide detectors. You can also find smart security cameras and lights to augment your home’s security. We like security cameras with two-way voice that let you talk to visitors (welcome or not) and family members even if you’re stuck in traffic. What is do-it-yourself home security? If you like to sling a sledgehammer, then DIY home security might be right up your alley. Home security systems that are 100% DIY let you pick the security products, set them up, and monitor them—all on your own. Even better, you can go hybrid and opt for full-on professional monitoring with DIY installation (think Frontpoint, Protect America, or Link Interactive). This can save you money and give you the satisfaction of upgrading your home’s security with your own two hands. Not every company gives you that option, but you can find some of our favorites on our full list of the best DIY home security systems. What are the advantages of installing a do-it-yourself security system? When should I go with a professional installation? Sometimes you don’t have a choice. High-end home security companies like Vivint and ADT offer only professional installation. But most other companies on our best home security systems list give you a DIY option. Using professionals to install alarm systems and sensors can make things simple. You’ll have an expert by your side who understands the best setup for your home security system—and both ADT and Vivint provide free in-home security assessments to make sure you have the right protection for your home. Alarm systems that require wiring and sensor or camera placement benefit from professional installation companies—especially if an incorrectly placed motion sensor, door sensor, or security camera could lead to false alarms, or worse, an intruder. Professional installers assess the layout of your home to determine where to place sensors, cameras, and devices for optimal performance. They can also resolve any issues with the alarm system along the way. And because the installer is certified and likely has years of experience on the job, you have added reassurance that the installation was done right. But there are some downsides to a pro install—primarily the up-front costs and the necessity of scheduling appointments and waiting around for techs to get the job done. Should I have my system professionally installed? Check out our home security system reviews by category. Find local resources and security information to help keep your home and neighborhood safe.